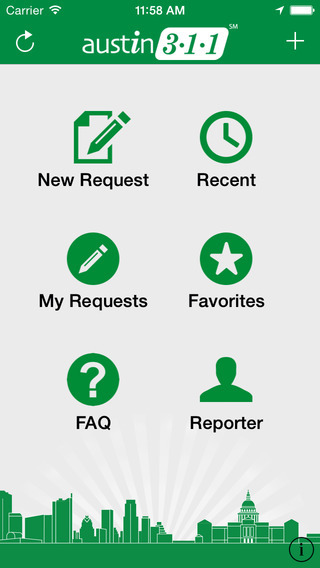 The City of Austin has created a smartphone app (compatible for iPhone and Android) that allows you to report any of the following issues below in less than a minute and be able to keep track of your open issues. 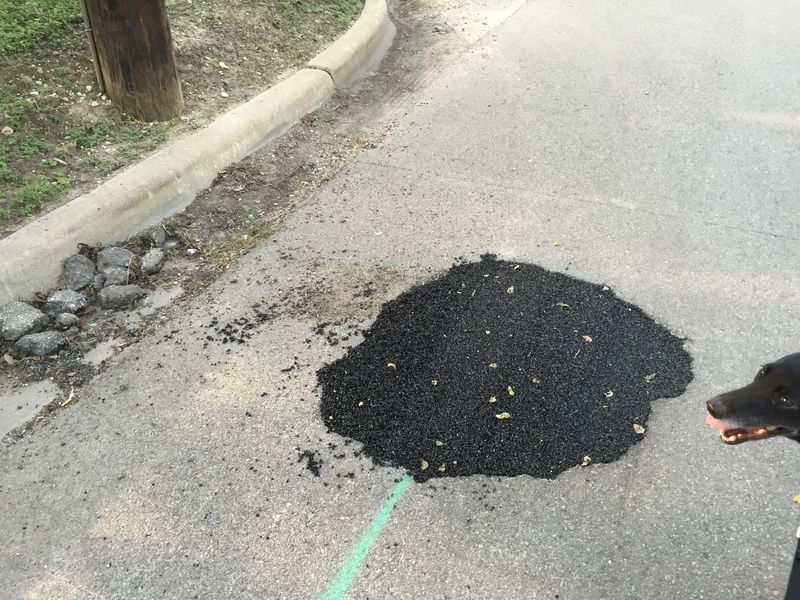 Get potholes fixed:A pothole reported on Harmon was fixed by the end of that same day. Report illegal parking or request parking enforcement signs: At Harmon and 49 1/2 St, residents were concerned with parking congestion, specifically cars parking on the corners and causing a lack of visibility. 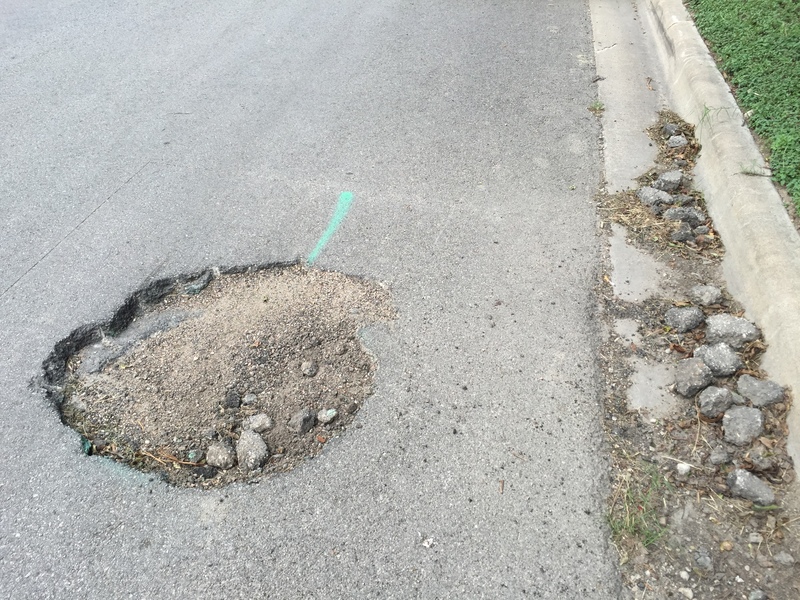 This was reported via 311 app and within a few months an Austin Traffic Engineer agreed that parking restriction signs should be put in to increase visibility and reduce hazard. 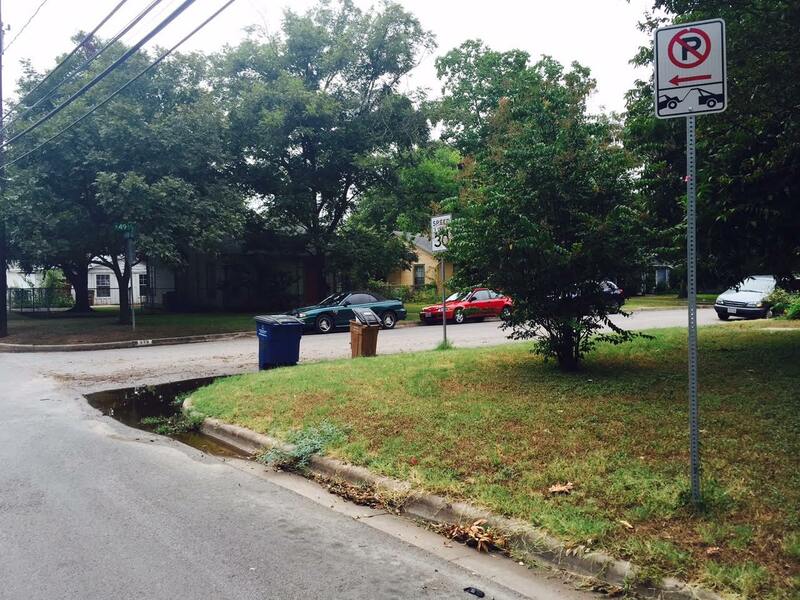 Since the installation of two signs the illegal parking issues and congestion has stopped.